OnePlus partners with T-mobile to go mainstream in the U.S.
Nov. 2 (NBD) – Smartphone manufacturer OnePlus announced a strategic cooperation with U.S. carrier T-mobile, in a bid to broaden offline distribution channel as well as prepare for the coming 5G era. 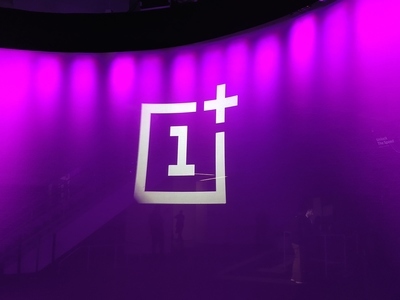 The cooperation will enable OnePlus products to be stocked in 5,600 T-mobile stores across the U.S. where consumers can get a first-hand experience. Previously OnePlus phones were only available via online stores in the United States. The U.S. mobile phone market is dominated by several carriers including T-mobile, which leaves marginal space for other channels. Recognition from carriers therefore is vitally important for a brand to enter the U.S. market, analyst Jia Mo with Canalyst told 21st Century Business Herlald. Currently, the carriers need a third brand other than Apple and Samsung to offer diversified options at the medium-to-high end, Jia Mo added. According to statistics from Counterpoint, Apple and Samsung occupied a 65 percent share of the U.S.'s smartphone shipments in the second quarter of 2018. OnePlus, which launches two flagships a year priced between 400 U.S. dollars to 600 U.S. dollars, will find space unoccupied by Samsung and Apple in the medium-to-high end market. OnePlus 6T, released on Monday, will be the first medium-to-high end smartphone with in-display fingerprint scanner in the U.S. market. On Monday, the number of people queuing in front of T-mobile's flagship store in Times Square for OnePlus 6T exceeded the number for the new iPhones, Business Insider reported. Besides distribution channel, OnePlus is also negotiating with T-mobile on cooperation in the 5G field, according to Pete Lau, CEO and Chief Product Officer of OnePlus. It is generally acknowledged in the industry that commercial applications of 5G technology will become a game-changing factor for the global smartphone industry. Cooperation with carriers in the developed countries will give OnePlus more strengths in the coming 5G era. China's mobile phone manufacturers are making strides in international expansion in recent years. While competitions in Southeast Asia, India and Australia grow increasingly fierce, Europe and the U.S. have become the new battlefields. Domestic mobile phone market has entered a plateau, thus finding new markets becomes a necessity, said Wu Qiang during the launch of OPPO's high-end model Find X in Paris in June. Wu is in charge of OPPO's overseas market business. Xiaomi, currently the world's fourth-largest smartphone manufacture, is set to make a UK debut next week, with a new store opening in London and smartphones stocked by carrier Three. In addition, Xiaomi opened brick-and-mortar stores in France and Spain earlier this year.